Albion, NY (March 25, 2019) – Shortly after 10:00 a.m. on Sunday morning, March 24th, Orleans County Sheriff’s deputies, along with two ambulance services and the Albion Fire Department, responded to a head-on crash. The collision was reported to have occurred on Holley Road for reasons that seem a little confusing to officials. According to police, it appears at this time as though the two vehicles involved had been driving toward one another on purpose. Whether or not the crash was a result of a game of “chicken,” some sort of challenge, or another reason altogether is currently under investigation. In any event, emergency medical crews were quickly called to the scene after the collision. According to authorities, five people were involved in the accident, three of whom were reported to have sustained serious injuries. One passenger, identified only as a 27-year-old woman, was immediately flown to Strong Memorial Hospital via Mercy Flight. A ground ambulance was stated to have transported to other male passengers to the same hospital. Neither the current conditions of the victims nor any other information has been made available at this time. Before anything else, we would first like to extend our sympathies to the injured victims as we preserve our highest hopes for their full recoveries. Following a serious New York car accident, it can be very difficult but it is extremely important to understand that you may have significant rights moving forward, especially in the event that you are not to blame for your injuries. 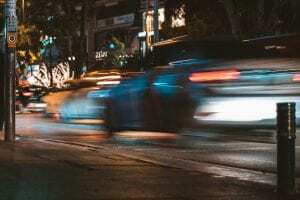 At Hach & Rose, our New York accident attorneys have dedicated their careers to assisting the victims of reckless drivers and other negligent entities. We recognize the immense physical, emotional, and financial hindrances that are often the result of an unexpected accident. If you have been seriously injured in a motor vehicle collision due to the actions of another party or entity, please don’t hesitate to call 212-779-0057 today.